Fantastic Four debuted its first trailer on January 27th where it generated a hefty 89,991 tweets and has seen more than 100,000 new tweets this week so far. Disney's Marvel Universe has dominated super-hero films (and indeed social media) in recent times with titles such as Iron Man, Thor, Hulk, The Avengers and the upcoming Ant-Man all being/projected to be massive successes.Fox is trying to build their own mini-empire out of comic heroes it has rights to, namely the X-Men and Fantastic Four. Their reboot of X-Men has been largely successful, and now their sights get turned to Fantastic Four. 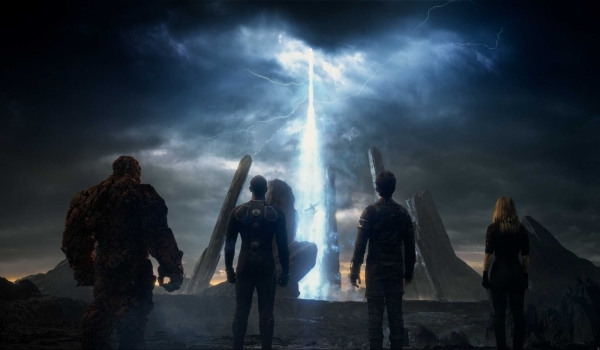 While the first two films in the Fantastic Four franchise did generate over $600 million worldwide in sales, the critics were never kind, and with an aging core cast (not to mention that one of the four went on to become Captain America) Fox chose to rebuild the franchise, just like they had done with X-Men: First Class a few years ago. They chose to go with talented up-and-coming young actors which they could build a potential franchise around provided the reaction from fans and critics warranted it. So far the film is getting two thumbs way up from Twitter and Facebook. By comparison, the recent Ant-Man trailer had 55,356 tweets with its first trailer and less than a 100k new likes on Facebook since its release over three weeks ago. Avengers: Age Of Ultron predictably dwarfed it though, with its 205,739 more than doubling it. This is a largely positive start for Fantastic Four and Fox should be very happy with the buzz so far. With the relative unknown Guardians Of The Galaxy opening to $94 million a similar time last year the precedent is clearly set for this to have a great run this late Summer if it has the story and visual to back up its impressive trailer.